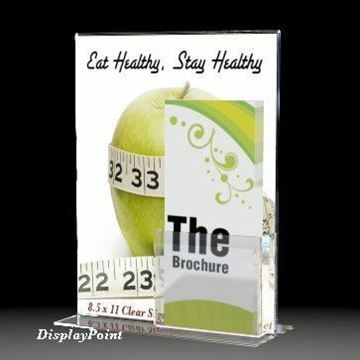 “Get that extra edge,” with our Sign with Brochure Holder. 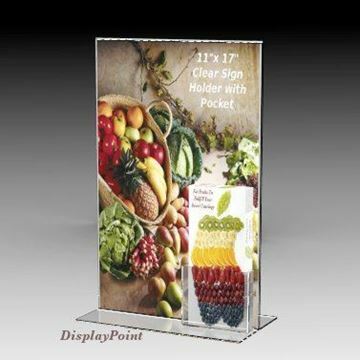 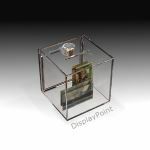 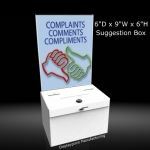 The functional and smart acrylic design offers your business the ability to market and promote your products and services, while displaying your company graphic or sign, with a clear plastic sign holder. 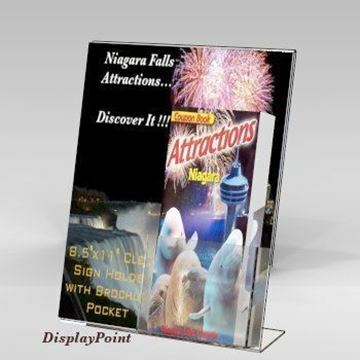 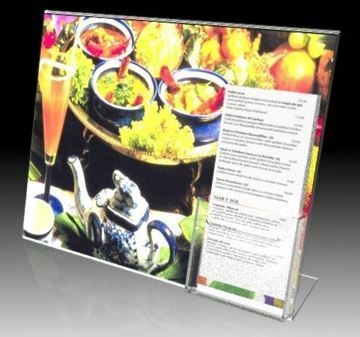 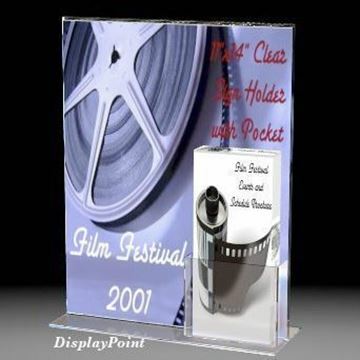 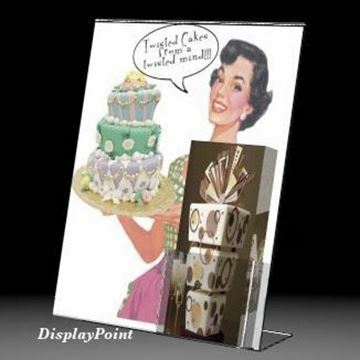 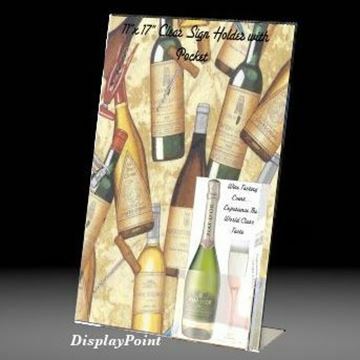 Each brochure holder holds your standard tri-fold brochure and each sign holder is available in various acrylic sizes.